Need a professional In Belleview Pressure Washer In Belleview Florida? Whether you’re enjoying dinner at Mojo’s Grill or you’re exploring the Baseline Trailhead, Belleview, FL has a lot to offer. If you’ve chosen this part of Marion County to call home, you’ve chosen well! One thing to be aware of living in these humid conditions is that your home will need Belleview pressure washing services at one time or another. With the well water most homes have and humidity being high, stains and mildew can cause your home to look unappealing. Learn more about Warrens Power Washing services below to see how you can keep your home looking fabulous. Our team of experienced pressure washers in Belleview can help you keep your concrete and pool enclosures looking brand new. With pre and post-treatment options for your concrete sidewalks or driveway, we can help remove those unsightly stains. Our team also utilizes a low-pressure washing system that will help to get your pool enclosure clean without damaging any surrounding vegetation or the enclosure itself. When it comes to pressure washing services Belleview, you want the best on the job. That’s exactly what you get with our highly experienced team at Warrens. Whether you need the dirt, algae, and mildew removed from your home or your roof, we have got you covered. Our low-pressure system is great for removing the dirt without damaging your window seals or the landscaping you have in place. Our team will work in pairs on your roof ensuring that all the runoff is taken care of and does not harm your surrounding flower beds or plants. 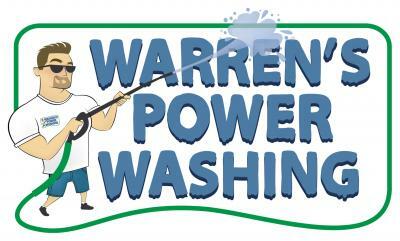 Warrens Power Washing services cover all of Belleview and the surrounding Marion and Citrus County areas. We strive to help our customers to enjoy the look of their homes and be pleased with every experience. Call our office today to set up your Belleview, FL pressure washing appointment and bring new life back to the place you call home!